Tin whiskers are growths of metal microfilaments, from the base metals on a printed circuit board to components or other related sources. These growths can lead to a high likelihood of product failure, due to shorts, metal vapor arcs, and other similar electronic malfunctions. Tin whiskers have adversely affected the functionality of complete systems and other components for many years. Since the implementation of RoHS, which outlawed lead-alloyed metals in PCBs, tin whiskers, and the problems they cause, have become even more prevalent. As a result, many military, aerospace, medical and other high-end, high-reliability electronic products are often affected by tin whiskers, they are of great concern within the industry. Plasma Ruggedized Solutions offers a number of tin whisker mitigation strategies to protect your components from the damage that tin whiskers can cause. Conformal coating applications are proven to be effective in mitigating tin whiskers, and the variety of materials we have available for conformal coating ensures that we can find the perfect solution for your application. The tin whisker mitigation processes result in a finish that is more resistant to tin whisker growth. We have also developed a number of solutions using softer coatings which put less physical stress on the treated assemblies, but still give excellent protection against tin whiskers growth. Urethane and parylene conformal coating applications are effective in preventing the formation of tin whiskers growth. We have developed a variety of other tin whisker mitigation solutions, as well, including potting /encapsulation of assemblies and components with silicones and epoxies. With the proper mass and thickness, these materials will slow the growth of tin whiskers, and effectively control the growth of any that do develop. We also offer multiple-application processes, utilizing a combination of materials—such as silicone and parylene together—that can be customized to fit your specific requirements. 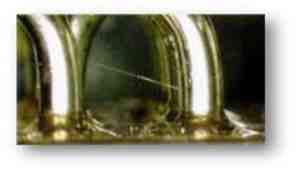 Plasma Ruggedized Solutions is also developing a number of next-generation solutions for tin whisker mitigation. Our latest project involves a new, improved material for conformal coatings that will offer superior tin whisker protection and outstanding versatility. As with all our services, Plasma Ruggedized Solutions constantly strives to be at the forefront of tin whisker mitigation technology. There are many factors that play into successful tin whisker mitigation strategies. 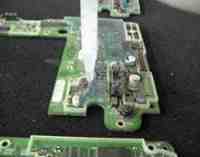 Cleanliness of the printed circuit boards is key, as are low stress conformal coatings. Plasma Ruggedized Solutions offers assistance in the engineering and design of the products in question, to ensure the highest levels of success in tin whisker mitigation. We can assist with material and alloy selections, part placement, and other aspects of the manufacturing process, to keep the growth of tin whiskers to a minimum, and to allow optimum space for proper conformal coating application. Tin whiskers are the predominant form of metal growth that occurs in the industry, but all noble metals and some alloys can develop whisker growth over time. Plasma Ruggedized Solutions’ conformal coating services are one of the only methods of mitigating tin whisker growth on all metals and alloys. Our tin whisker mitigation strategies can be applied to any metal to reduce—and nearly eliminate—the growth of whiskers. Plasma Ruggedized Solutions’ conformal coatings are effective in tin whisker mitigation in multiple ways. Our conformal coating applications create a barrier against nature, protecting the metal substrates in PCB’s and assemblies from exposure to multiple environmental factors that can lead to tin whisker growth, including oxidation, moisture, hydrogen sulfide and other gases. 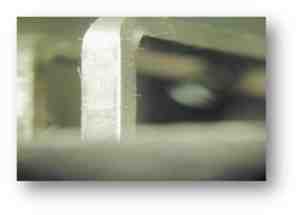 Conformal coatings also create a physical barrier that slows tin whisker growth. Therefore, it is hard to penetrate these coatings they make it difficult for tin whiskers to begin growing. If any tin whiskers do grow, they are constrained and held in place, preventing them from causing unwanted electrical connections that can destroy a board. Plasma Ruggedized Solutions’ potting/encapsulation services are the most effective tin whisker mitigation strategies, as the increased mass of the coating materials offers maximum protection against even the most aggressive tin whisker growth. Plasma Ruggedized Solutions has been providing superior tin whisker mitigation services since the earliest days of our company. Our experts can provide a number of solutions to protect your assemblies and components from tin whisker growth and the difficulties this can create. 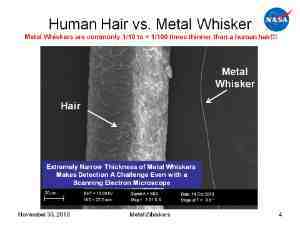 Contact us today to learn more about tin whisker mitigation strategies and solder whiskers RoHS.